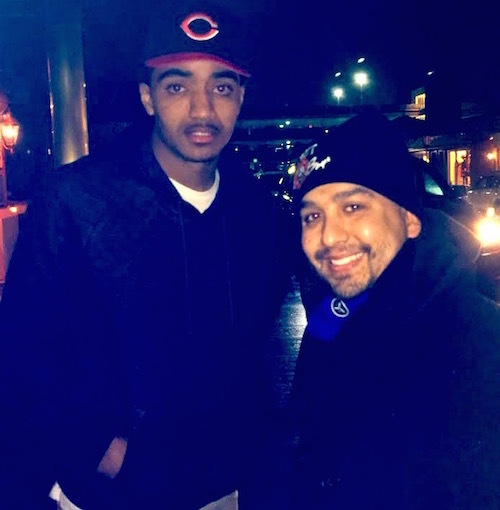 iFolloSports.com Michigan correspondent Lance Martinez provides this original photo of he and Denver Nuggets guard Gary Harris. The picture was gathered during a recent Nuggets visit to the Detroit Pistons. Now in his second NBA season, Harris is averaging 12.1 points, 3 rebounds and 1.9 assists per game. Harris starred 80 miles northwest of this photo at Michigan State, where he played two stellar seasons in East Lansing. After winning Big Ten Freshman of the Year, the Indiana native came back his sophomore season to earn All-Big Ten first team status, amid posting 16.7 points, 4.0 rebounds and 2.7 assists per contest. Harris was selected with the 19th pick in the 2014 draft.